Register as a prospective student to receive information and updates on events of importance to you and your family. The college-choice process can be challenging. Making the right decision takes time, effort, and information…all of which you will find help with here. U-M has made an outstanding commitment to freshman applicants and to offering a first-year experience like none other, from an extraordinary range of events and activities to learning communities to an education that moves well beyond the classroom, blending experience and intellect, fact and theory, life and academics into a seamless whole. Review all our freshman admission requirements. Michigan Students come from all 50 states and 128 countries. Admission to the University of Michigan is competitive. That’s why we employ an individualized, comprehensive process in reviewing each student’s application. Beyond specific academic requirements, focusing on what you can do in your curriculum to be successful is an excellent starting point. Freshmen are allowed to apply to more than one school or college at a time, with certain limitations and guidelines. This allows you to choose paths and majors that reflect your interests and individuality. Through the University of Michigan’s Early Action program, you can apply earlier in the admissions timeline—received by November 1 of your senior year in high school—and receive a decision on admission earlier on in the process. The Early Action decision will be one of three: admit; defer for a final decision by early April; or deny. The Office of Admissions promises no special privileges to Early Action candidates, such as giving your application materials a higher priority or a more lenient review. Choosing to apply through Early Action does not make it easier or harder to gain admission to U-M—it is merely a way to get your decision faster. You must be able to meet the November 1 deadline. This means having all pieces of your application submitted electronically or postmarked by that date. You will need to order your ACT or SAT scores well in advance, and ensure that we receive the School Report and the teacher recommendation letter by the deadline. Early Action provides you with a guaranteed decision date. For many students, this enables better planning. The Common Application OR the Coalition Application (Note: Please submit only one. There is no advantage to submitting one over the other.). Note: Students who apply via Early Action but don’t meet the requirements or deadlines will be rolled into the regular decision applicant pool. All materials must then be postmarked by February 1 and decisions will be released by early April. Please be advised that we must receive your official ACT or SAT scores by the deadline date of November 1 in order to complete your application file. We encourage students to send test scores to U-M immediately after taking the exam; students who submit their requests for test results after they have taken an ACT or SAT will need to ensure that scores be sent to us by the deadline. Check with ACT or SAT regarding individual policies. All U-M admissions decisions are sent via email from Michigan Admissions under the subject line “Your University of Michigan Admissions Decision.” Check your email on a regular basis. If you add this email address to your safe list, your decision will not end up in your junk or spam folder. However, given variations in online security, we recommend that you check both your inbox and junk mail folders just to be sure. Your admission decision will be released to the email address you provided on your application. Keep in mind that only some decisions will be posted on our web app status page. You will receive paper correspondence by mail only after you have been admitted. 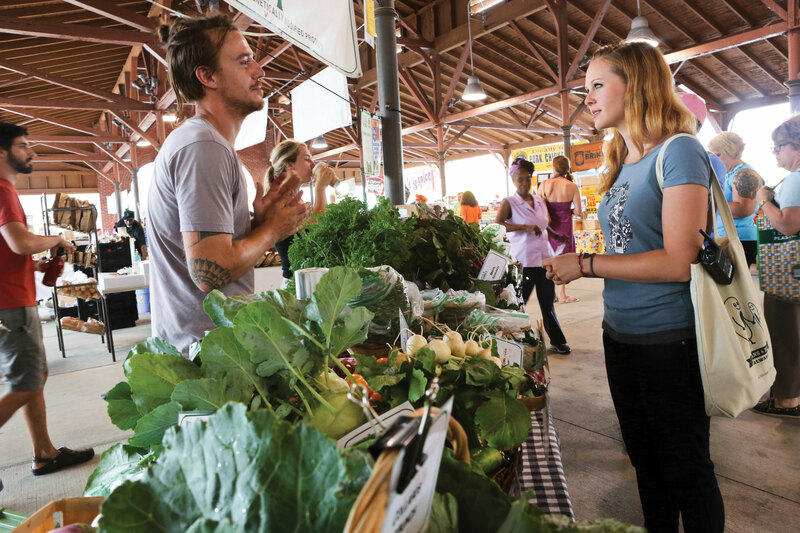 Fiona Ruddy, a 2010 LSA graduate, runs the Eastern Market Farm Stand Program, which serves 18 different locations around Detroit and the surrounding suburbs. The stands bring fresh produce directly to local hospitals, office buildings, nonprofit organizations, and neighborhood farmers markets, giving members of the community a convenient way to buy healthy food.